The company makes two products designed to address raccoon eyes. By using Phytocosmetology, Villa Floriani delivers results that are on par with chemical treatments without the associated pitfalls. In case you were wondering, phytocosmetology is the practice of extracting the essence of a plant’s most powerful part, be it leaf, flower or root. The first product is the Multi-Active Eye Serum. 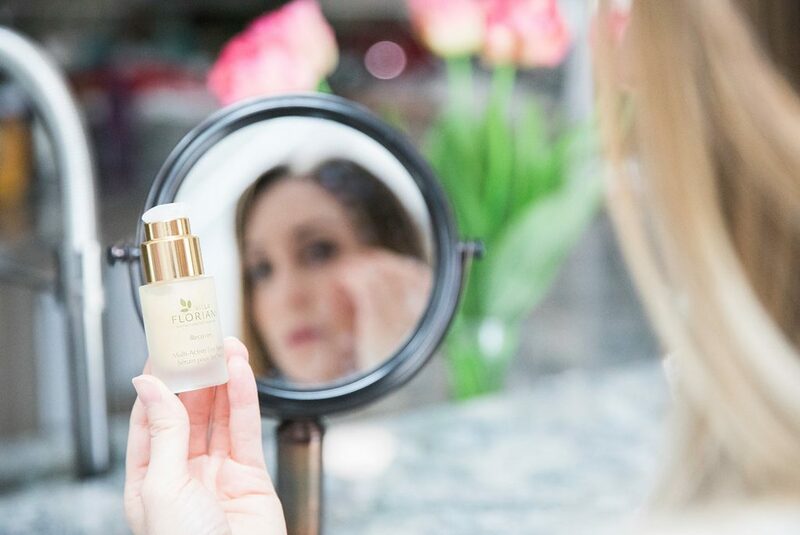 This serum reduces the appearance of dark circles and gently firms up the eye area. It is a miracle worker on those tired eyes! The product has a very pleasant scent, and when giving it a closer look has what appears to be little shimmering particles! Villa Floriani uses what’s called Phyto-Curactive™ which is a blend of bio-certified active botanicals! After just one week of use, this awesome concoction has dramatically improved the appearance of my eyes and helped restore their youthfulness! 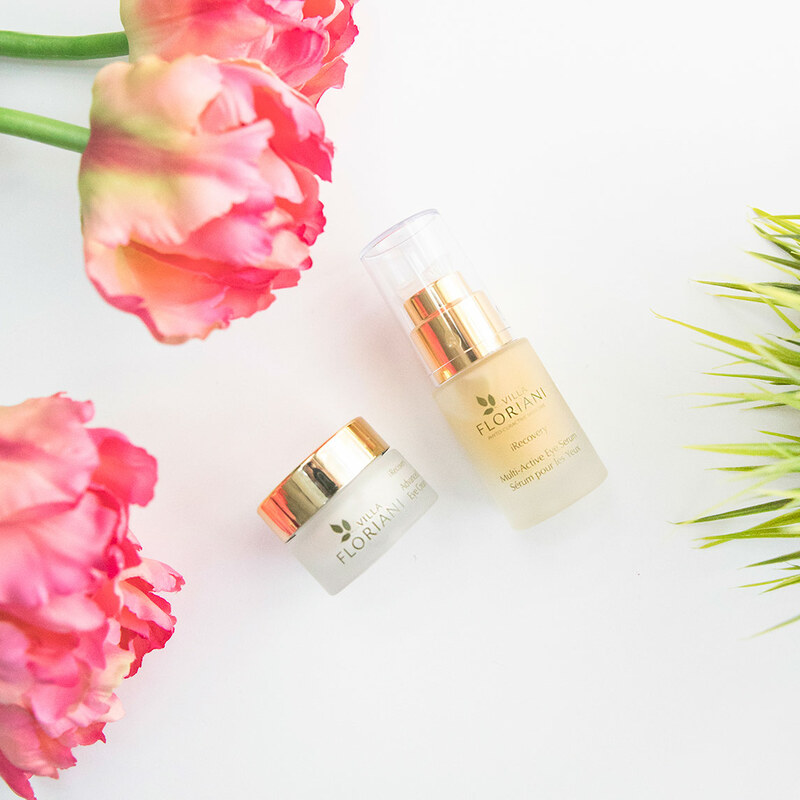 Serum is derived from the following botanicals: Calendula Officinalis that contain biotech oligopeptides, Hydrolyzed Yeast, Butcher’s Broom Root and Centella. These active ingredients tone and add firmness to the eye, thus eliminating the puffiness once was present. Helichrysum protects the eye with its antioxidant and antibacterial properties. Witch Hazel leaf extracts revitalizes the eye contour so it restores its youthfulness. 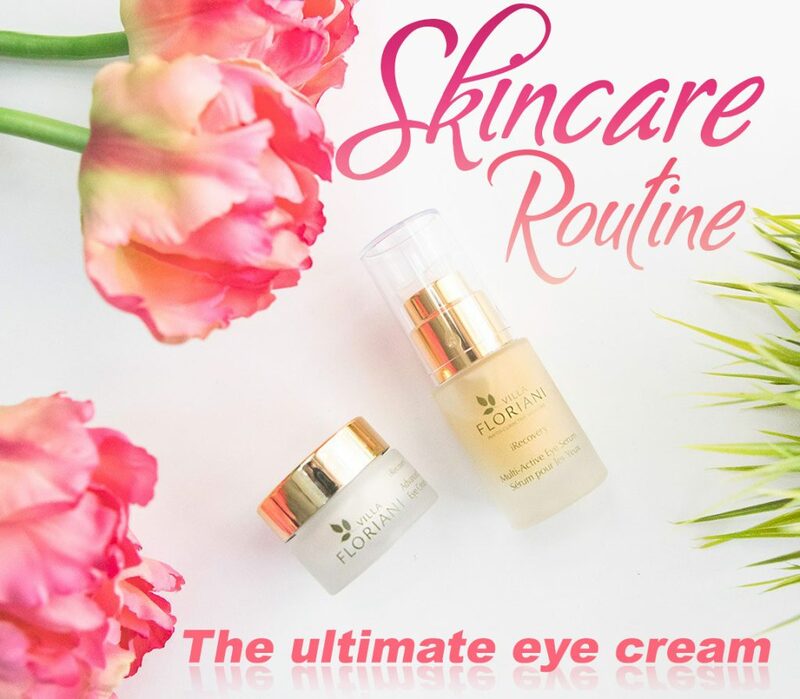 This product reduces eye puffiness and targets lines from aging. It hydrates and lifts the delicate area around the eye, giving your entire face a glow and restoring its natural youthful appearance. One thing I love about this eye cream is the fact that it’s suitable for sensitive skin, which I have. 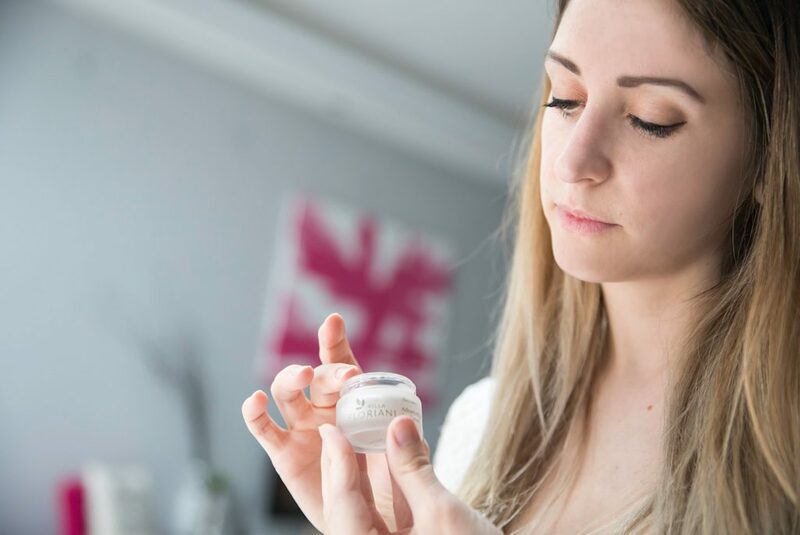 This skin cream helps reduce the appearance of puffy eyes with its active biotech peptide ingredients. Along with bio-certified Green Tree and Cucumber Extracts, the combination eliminates water retention in the eyes. The active ingredients include: Camellia Flower and Burdock Extracts, Olive and Jojoba Oils and Shea Butte. The combination of these ingredients helps to moisturize and smooth the eye area so the appearance of fine lines and wrinkles is reduced. Plant effective skincare; Creating synergy through science with naturally powerful ingredients. Hand made in Italy. I was completely blown away by the quality of Villa Floriani! After using these products for only a week, I saw results. The bags under my eyes have drastically diminished and my eyes appear more youthful and firm. I highly recommend trying both the serum and cream, especially if you’re wanting to target fine lines and dark circles.